It is true some of the child welfare workers, who were seeing the appalling conditions on reserves for the first time, were overzealous in their determination to remove children from what they saw as unsafe and inadequate homes. It is also true adopting these children into American homes was a bad idea from the start. The adoptions broke down at an alarming rate both for cultural reasons and the fact, now recognized, that many of these children had fetal alcohol spectrum disorders (FASD) — they were born brain-damaged as a result of exposure to alcohol in the womb. The adoption of aboriginal children into white middle-class homes was discontinued. But the practice of removing many aboriginal children from their parents has not changed much from the 1960s to the present day, even with the devolution of child welfare responsibility to aboriginal agencies. In fact, Manitoba now has more aboriginal children in care than was the case in the 1960s. So, except for the international adoption aspect, the child-welfare situation in Manitoba is virtually the same as it was during the time of the so-called ’60s Scoop. What is the reason for this? Why are so many aboriginal children taken into care each year, and why are even more left in bad homes? And why are so many of these children born with FASD? In a word, the answer is that the parents of these children abuse alcohol. They drink to the point that they are incapable of being responsible parents. And how could Manitoba’s child welfare crisis, and Manitoba’s horrendous FASD problem be brought under control in one fell swoop? The answer is simple: irresponsible parents would have to stop drinking. Many will consider this observation to be callous, simplistic and even ignorant. 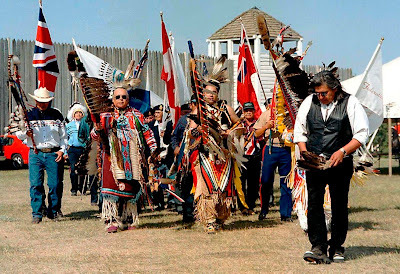 They will want to point to colonialism, residential schools and other historical trauma, and explain that alcohol abuse in aboriginal communities is the inevitable result of that history. Harold Johnson says these people are wrong to think that way. In an important new book titled Firewater, he takes direct aim at what he calls the “victim model” and insists the enormous problem of alcohol abuse that plagues so many aboriginal communities must be acknowledged and openly discussed if there is to be any hope of change. He does not deny that the historical injustices are real, but passionately believes using them as an excuse condemns aboriginal people to be helpless victims forever. He asks why aboriginal leaders, who are so vocal on some issues, seem to be so afraid of acknowledging the problem. For instance, he points with some humour to the 1996 Royal Commission on Aboriginal Peoples that devoted a measly few pages of its massive $60-million report to the subject of rampant alcohol abuse in the aboriginal community, and concluded — farcically — that it was no particular problem. He wonders if the leaders fear that someone will raise the old “drunken Indian” stereotype if the issue is openly and honestly discussed. So, they remain silent. He also wonders why non-aboriginal people in important positions are so strangely silent on a problem that is so obvious. He concludes (correctly) that any white man who uses the words “Indian” and “alcohol” in the same sentence will find himself or herself branded a racist. Johnson says these people, too, must gather up their courage and speak. And just who is Harold Johnson to say these things? He is a Cree Indian from Treaty Six Territory in Saskatchewan. The subtitle of Firewater is How Alcohol is Killing My People (and Yours). Johnson had a hard life. His father died young, as did siblings. He was bitter, and lived a life of hard drinking as a young man. But, at a certain point in his life he did a major rethink. He went back to school, became a lawyer, and then a Harvard graduate. He quit drinking completely, and has been a respected prosecutor in Saskatchewan for years. Johnson turned his life around not as a result of anything that a government did or did not do. He did so as a person deciding how he wanted to live his own life. He explains that he never saw himself as a victim, but as a person responsible for his own future. He estimates one in two people in Treaty Six communities dies directly or indirectly from alcohol. He notes that in many aboriginal communities alcohol and its aftermath are the only real economy. He refers to the judges, lawyers and workers who hold court in these communities, where virtually all the cases involve drunken misbehavior, as “alcohol aftermath administrators.” They do their work and come back only to find the same people in front of them again. Despite their best efforts, they accomplish little. The story told about the ’60s Scoop is of uncaring social workers stealing children from their parents and causing them hurt. But the real story is about irresponsible parents abusing alcohol and placing their children in danger. The real story is about drinking. The story about the child welfare system is of a government and system that doesn’t know what to do with the many thousands of aboriginal children who come into care. That part of the story is true, but the real story is about drinking. The story told about the justice system is of racism and too many aboriginal people going to jail. The real story is about drinking. The story told about missing women is about aboriginal women being treated as less than human, and casually slain and forgotten. That part of the story is true, but the real story is about women driven from their communities by alcohol-fuelled violence, and the many more aboriginal women with no option but to stay behind, trapped in hopelessness. The story is told of communities with epidemics of young people who see suicide as the only option, the aboriginal leaders who demand that the government fix the problem and the government responding with money and programs that both the leaders and the government know will make no difference. The real story is of young people driven to despair by their parents’ drinking. The story about FASD is about how it affects all races and groups (true) and that there is not a grossly disproportionate number of aboriginal FASD children in our province (untrue). The real story is about irresponsible parents drinking. He talks about motivated communities turning themselves into virtual treatment centres. Everyone in such a community would have to be fully committed to the plan (as opposed to so-called “dry reserves” where the bootleggers are often school teachers or other middle-class people who have the money to buy pickup trucks and pay the bribes necessary to operate as well-paid bootleggers). None of these solutions has anything to do with government programs, government money or national inquiries. Instead, they involve individuals making a personal decision to stop thinking of themselves as victims, and then start making a positive change. Johnson did not have to write this book. He knew he would be criticized by many for doing so. He felt a duty to tell a story that needs to be told. We should read his book. This is NZ to a tee, the elephant in the room called child poverty,needs to be said out loud.. Sums up the N.Z. Maori population statistics perfectly. Not so much alcohol, but drugs & reliance on government intervention, has lead to an extreme misrepresentation in both our prisons & DPB statistics. Personal responsibility is the only hope that any of us have. Socialist or globalist governments have one aim, MAKE US ALL DEPENDANT ON THE STATE..